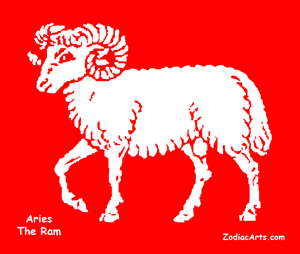 The sign of Aries is associated with personal initiative, assertiveness and leadership. A Fire sign with an emphasis on action and adventure, Aries is ruled by the planet Mars. Issues involving political or industrial leaders, the military, exploration and feats of courage become accentuated during Aries. The house holding Aries in the natal chart shows an area of life where one can be impulsive, impatient and aggressive as well as independent, pioneering and decisive. 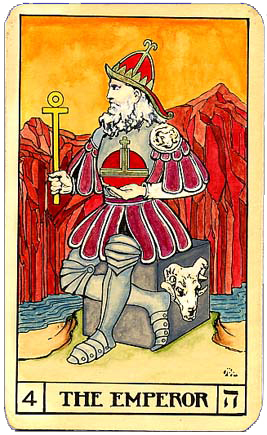 Attune to the qualities of Aries with 3-minute tarot meditation on The Emperor. Confer with The Emperor for clarity, insight and self-discovery. Aries Sits in the East on the Medicine Wheel. The cardinal direction East points to the path of spiritual health via Clarity, Illumination, and Wisdom. Aries correlates to Clarity, the first step on the Eastern pathway of Sun Bear’s Medicine Wheel. The releasing and merging process of the Pisces cycle leads to purity of vision and the ability to begin anew with a fresh vision of who you are and another journey around the wheel.